There was a time when I had to produce a lot of content in a very short period of time. Part of my business development duties was the draft of the comprehensive responses to various Calls Of Tenders and proposals providing specialize solutions and approaches, towards various clients! And this it was a lot of writing! In order to do more efficient my work and manage to cope with all these writing tasks, I was relying on the power of templates to help me manage all this workload. You can create templates everywhere. This includes both your personal and professional life. A template is a form of action (activities) routinely or customary repeated on various occasions and safely be filled in (or performed) without much thought! Just as the driving is, or the drafting of a formal business letter. Driving and writing a letter based both on some common principles. You can find a way of eliminating the most repetitive tasks leaving your focus and energy for performing better on the tasks your involvement is absolutely necessary! The common denominator of all the above is that all are based on templates. Are pre-thoughted of, pre-designed, pre-scripted and pro-active forms of doing or performing certain tasks. You can create templates for sending emails and e-mails to your computer for instance and you can create a different kind of template to find the time to go the gym! The first one is the template per se, the second one is a life script or habit. Both though serve the same function. To leave some less important (or repetitively) tasks behind, in the background, leaving you to do only the creative activities, you should do! The power of templates lies in the fact that makes you focused on what’s important in relation to the task you have to do and dictates you a 1-2-3 logic completed it! For instance, when you code for a specific computer language or you write a business letter, there would be always common parts! For the coding some functions or derivatives habitually you (or your group) use, for the letter the logo, address of the company, colors, and fonts according to the company culture! So, in any case, a template lets you start on doing what it needs to be done (write the new functions in coding or write the essentials of your communication in a letter). You can use templates everywhere. In your e-mail, in drafting proposals, in writing business or personal letters, chatting, etc. If templates combined with a text expander typed of software (as the PhraseExpress in Windows, or the TextExpander in Mac), they become powerful tools that streamline your productivity! 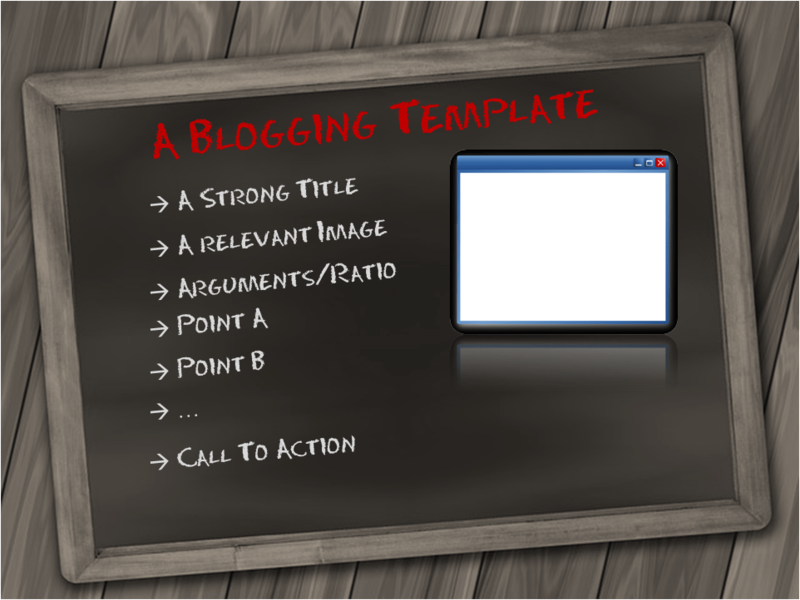 Question: Do you think you can use templates in your personal or business life? What templates would you need for being more efficient? Do you use templates, or not? You can leave a comment by clicking here.